Are you looking for a fancy top to wear with your skirts or pants? Craftsvilla is where your entire search ends. We have an amazing collection of some of the best and most exquisite womens clothing, anyone would desire to have. These stylish tops have been wonderfully designed to meet the standards of every woman’s personal style & choice. They are elegant, simple, modern, and sophisticated. All these attributes are wrapped up in beautifully crafted fancy top. Every woman wants to look her best even when she is seen sporting casual wear. They still want to look fashionable, stylish, and elegant. That is the reason why Craftsvilla stands out. We understand your needs, and we strive always to give you the latest top designs that will speak well of you as well as your style. We offer tops, casual kurtis, Suits, etc. that are made of high-quality materials, have amazing patterns, styles, and so on. Whatever you are looking for, you can be assured that Craftsvilla will provide it for you. It is always our pleasure to do so. It is a challenge to trace the origin of tops because there is no concrete written history of them. Even so, we are sure they date way back past the 20s. Before the 20s blouses were worn by women. In 1920, they became very popular because not every occasion needed the woman to wear a dress. Therefore, they opted for the blouse and a skirt. This was comfortable and very convenient. One would come up with so many looks from a few skirts and tops. The blouses were pullovers that had buttons from top to bottom on the front. The waistband also had buttons on either side. There were also waist shirts which were also pullover tops that only had one button at the neck’s back. Its sides had ties or a bow at the back of the waist. They were used to pull in the shirtwaist at the hips. These tops had different sleeves with different shapes. As time went by, blouses, shirts, and waists were all called women’s tops, and the terms were used interchangeably. Over the years, these tops evolved in design, style, and patterns, and so on to what we have now. Indian women tops also date way back. We had kurtis, cholis, and kameez dating back to Mughal era and beyond. Over the years, like of the western tops, they have evolved in design, style, pattern, and so on. Even so, they have not completely changed because the traditional feel is always maintained with these Indian ladies tops. Even so, they borrow a little of the western world and incorporate the different aspects to magnify their beauty. This western addition takes them to a new level of beauty. Craftsvilla has this factor as its secret to giving you amazing designer tops that are very fancy and stylish. 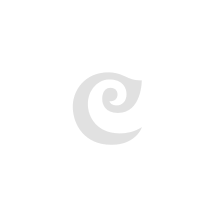 Craftsvilla has every kind of top you will ever need. We have some of the latest top designs that every female will like. We have outstanding tops for women and tops for girls. These designer tops are made with love, consideration, and care. We always want to give you fancy tops online that are uncommon and gorgeous so that you can stand out. To look good in any attire, you have to pick the right attire and here is how to go about it. Choose the right color: Color is very important because there are those colors that blend perfectly with our skin tones while others are not so good. Choose those colors that flatter your skin tone. A few of the colors we have are white, orange, pink, purple, black, and so on. The style: Everyone has a sense of style. Do you want a traditional, designer, modern, contemporary, or any other? We have women tops that fall into different style categories that you will love. The sleeve design and the neck type: These are part of what you should check for when looking at the design of the top. We have sleeveless tops and those with varying lengths of the sleeves. We also have numerous neck styles like the v-neck, boat neck, round neck, U-neck, square neck, and so on. The neck style and the sleeves type will be guided based on how much skin you want to show off. 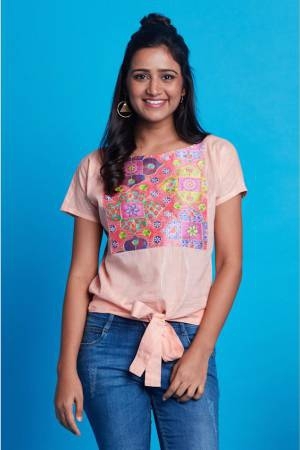 The fabric: Craftsvilla uses all types of fabrics to make the perfect tops for ladies. We use materials such as cotton, chiffon, silk, velvet, net, brocade, chanderi, and so on. For us to make any new top design, the fabric will play a very crucial role for it can determine the work on the top. Work: What kind of top would you like to have? Do you like embroidery, embellishment, batik work, bandhani work, and so on? We have it all! The pattern: We have numerous tops online with different patterns. Any top design we have for all tops even long tops have exquisite patterns that you will adore. It is every woman’s right to have the best of styles at all times. That is why we cannot offer any woman a top that is substandard in the material, design, style, pattern, and so on. Everything has to be perfect so that the features can work together to give her a wholesome look. Every woman has to look stylish, edgy, sophisticated, and elegant when she wears any of our tops. That is why Craftsvilla procures beautiful tops for girls. Any top design you come across at Craftsvilla is unique, lovely, and breathtaking. They are high-quality tops that will make you stand out and accentuate whatever you will be pairing it up with. Whether jeans, a Lehenga, or any other type of bottom, they will look great with our stylish tops. Ease, speed, safety, and fun are what Craftsvilla is all about. That is why every of our client appreciates our services. Whether you use our website or our mobile app, you will not run into any difficulties when going through and purchasing our fancy tops online. There is a great user-friendly interface for your convenience. We also have a support team at your disposal to assist you with what you may need. Other than that, you always have something to look forward to because we strive to have the latest top designs displayed and with great prices as often as we can to keep things fresh and enticing. We are focused on serving you and fulfilling your desires. Therefore, you can trust us to take care of your style needs!